This is the way audio components were built before integrated circuits became available. The subjective sound quality delivered by vintage equipment is often prefered over the one delivered by modern units, a situation that is even more obvious now when music is recorded with clean-sounding digital audio equipment. The circuit used in the PRE-73 DLX is similar to the preamp section in the classical 1073 module with a corresponding sound character that is warm, punchy, sweet and musical. These classic characteristics have been heard on countless recordings through the years and it is a versatile sound that works very well on most sound sources and in most genres. The essence of this sound is now available at a surprisingly low cost, making it available to nearly everyone. - Vintage Style electronics. No intergrated circuits in the signal path. - Maximum gain on the mic input is 80 dB, enough to handle passive ribbon mics with quiet sound sources. 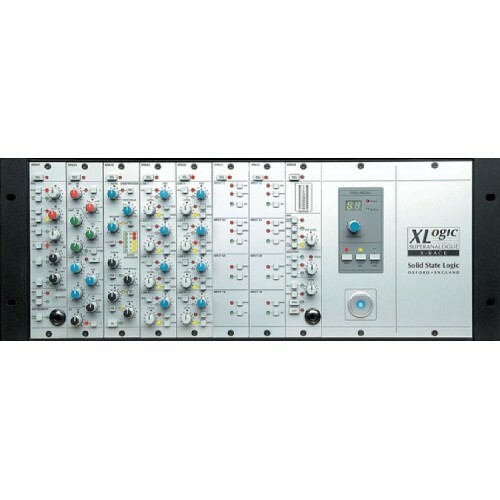 - Gain range on the Line input: -20 to + 10 dB. - Switchable impedance on the mic input, 1200 or 300 Ohms, will change the tone of most mics. - A simple but effective 4-step LED output level meter. - The output level controls makes it possible to make fine gain adjustments and also to overload the main gain stage(s) for more character and then lower the signal to a suitable level before the output stage. - Combo XLR/TRS input jacks and separate output XLR and TRS jacks for flexible connections. - Insert jack for inserting EQ´s and other units. 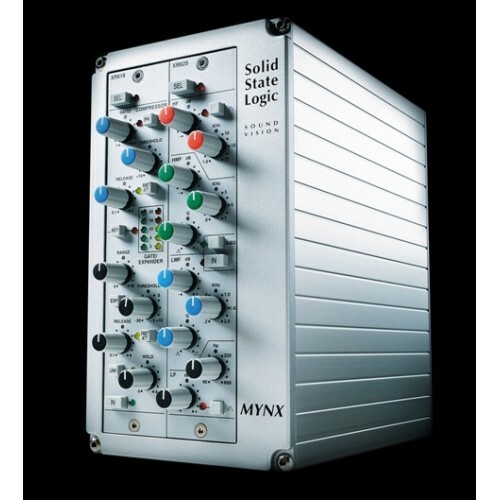 - External high power power supply to avoid interaction with the audio circuits and transformers. - Selectable 1073-style inductor based 18 dB/octave high pass filter @ 50Hz, 80Hz, 160Hz and 300Hz. - Output Attenuator -7, -14, -21 and -28 dB (located after the output transformer) allows overdriving the output stage and the output transformer for added character by lowering the output signal to a suitable level. - The Insert jack can be switched in/out from the front panel. An internal jumper can select that the Insert jack always has an output signal. - Switchable 600 ohm Output Termination and Ground Lift on the back panel. - Selectable Active or Passive DI input and selectable input impedance in active mode, Hi Z or 100 kohm, by internal jumpers. - The DI can signal can be selected to pass or bypass the mic input transformer by internal jumpers. - Relays are used to control internal switching for DI input, Phantom power, Mic Low Z, Insert and Phase for shorter circuit board signal paths. The relays are controlled by front panel switches. - Circuit board star grounding scheme. - Revised power supply with separate regulators for the audio circuits and relay and LED circuits. - All the ones mentioned above. - The circuit board is prepared for Carnhill Mic and Line transformer and high pass inductor. - Revised gain switch for added headroom. "So I tried the DLX 73. It works great! Really good preamp, warm. Excellent job!The ribbons R1 works fine also!" "Got the Pre-73DLX and EQ 73. Been doing testing and shall continue this weekend. Straight out of the box, holy sh*t! I'm no longer in a rush to spend 190.00 + VAT and shipping (like 240.00 total) to replace the chinese input, line, and output transformers, along with the HP inductor. It sounds quite warm, and vintagey as is. Testing with a chinese U47 (with nice NOS AT7) knockoff and SM58. 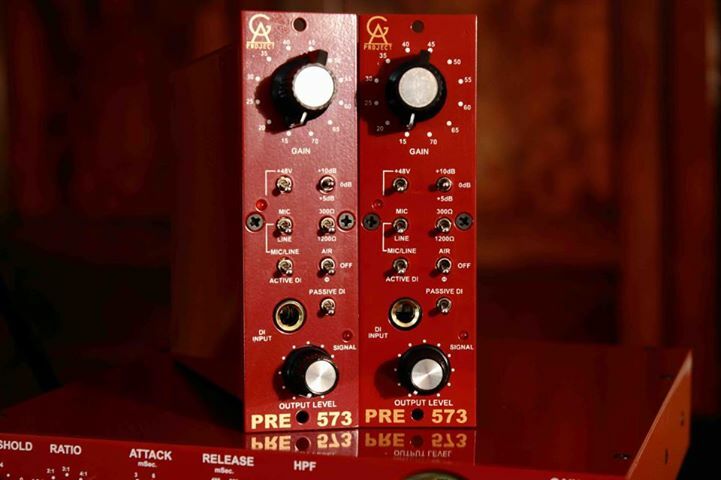 A/B'd with that big Avalon dog (comp/eq/pre) and it blew it out of the water, instantly, to the point where the owner of the avalon is putting it up on ebay and will get like 1,300.00 for it, and spend the 700.00 on the Pre73 and EQ73, then pocket the rest. 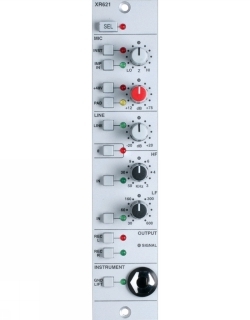 If you were wanting a mic pre, in this price range, it's confounding how good this sounds."